Prize: a collection of gift cards to 8 different stores on and near Hope Street in Providence including: Rhody Craft, J Marcel, Luli Boutique, Studio Hop, Kreatelier, Act II, Paper Connection, Eastside YMCA. Total value: approximately $500. To enter the drawing use one of the following methods: 1. 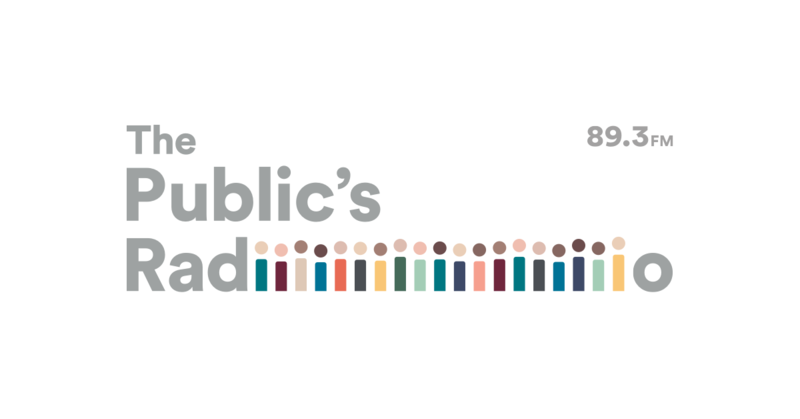 Make a donation to Rhode Island Public Radio d/b/a The Public's Radio during the entry period. 2. Complete the online contest entry form (link below) without a donation during the entry period, and include all required contact information. 3. Email jed@ripr.org with the subject line "Pledge Drive Drawing" during the entry period, include Name, phone number, email address and mailing address. 4. Call 1-401-351-2800 during normal business hours (9:00 AM to 5:00 PM, Monday - Friday) and request to be entered in the drawing during the entry period. Provide all relevant contact information. Online entry form for those not making a donation available here. Sustaining members of The Public's Radio with an active membership are also entered in all drawings. An active sustaining membership is defined as making an automatic credit card or ACH sustaining donation in the 30 days previous to the start of the entry period. Winner's name may be announced on the radio or in electronic communication to listeners as part of marketing efforts for The Public's Radio. A DONATION IS NOT REQUIRED IN ORDER TO ENTER THE CONTEST. A DONATION, PLEDGE OR GIFT WILL NOT INCREASE YOUR CHANCES OF WINNING. THE FOLLOWING GROUPS OF PEOPLE ARE NOT ELIGIBLE TO WIN: EMPLOYEES OF THE PUBLIC'S RADIO AND THEIR IMMEDIATE FAMILY MEMBERS; MEMBERS OF THE BOARD OF DIRECTORS OF THE PUBLIC'S RADIO AND THEIR IMMEDIATE FAMILY MEMBERS; PERSONS WHO ARE SIGNATORIES TO UNDERWRITING CONTRACTS WITH THE PUBLIC'S RADIO AND THEIR IMMEDIATE FAMILY MEMBERS. IMMEDIATE FAMILY MEMBER INCLUDES SPOUSES, CO-HABITANTS, SIBLINGS, PARENTS, AND CHILDREN. One entry is allowed per household. Multiple entries from the same household will be disqualified. Contest is only open to residents of Rhode Island, Massachusetts, Connecticut, Vermont, New Hampshire, Maine and New York. Winners will be selected randomly. Winner will be selected in a random drawing from among all eligible entries received. The winner need not be present to win. Odds of winning depend on the number of eligible entries received. Subject to verification of eligibility and compliance with these Official Rules. Prize Notification: Winner will be notified by telephone, e-mail, or US Mail using the information provided by winner at time of entry. If The Public's Radio is unable to reach Winner within 3 business days of the time of the initial notification, he or she will be disqualified and will forfeit all interest in the prize, and a substitute winner will be selected. In the event the Winner does not accept the prize for any reason, is deemed ineligible by The Public's Radio, or fails to comply with these Official Rules, the prize will be awarded to a substitute winner selected in a random drawing from among all remaining eligible entries. This process will be repeated three times if necessary until a winner is determined. If no eligible winner is determined by the third attempt, the prize will not be awarded. Winner may waive his/her right to receive prize. No cash or prize substitutions allowed by Winner. Winner's right to receive prize is non-assignable and non-transferable. The Public's Radio is not responsible for performer cancellations, weather cancellations, or changes to concert performances. Prizes and individual components of prize package are subject to availability and The Public's Radio reserves the right to substitute prize of equal or greater value. By participating, entrants agree to be bound by these Official Rules. For names of winners send a self-addressed, stamped envelope to: The Public's Radio - One Union Station - Providence, RI 02903.